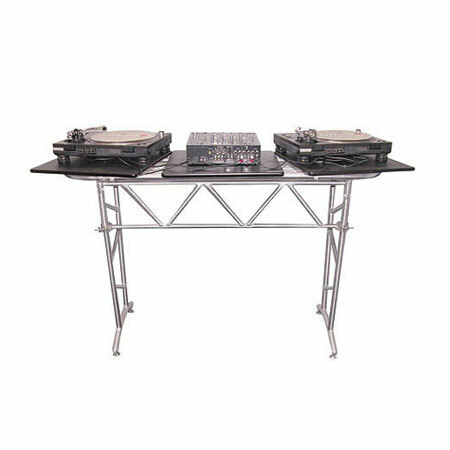 Sleek looking Truss Table adds a professional studio look to any room. 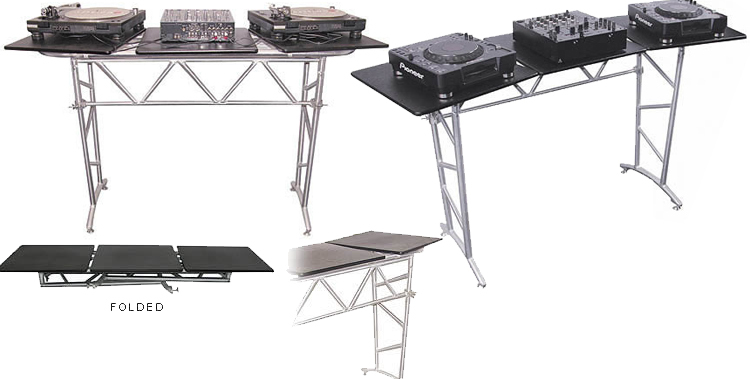 Perfect for clubs, restaurants or studio. The ATT2 features fold-flat portability, and swiveling side platforms. Each of the 3 tabletops measure: 18.5" x 19.5"
Box A: 59"(w) x 19"(h) x 8"(d), weight is 28 lbs. Box B: 21"(w) x 20"(h) x 4"(d) weight is 24 lbs.